Former Senator Miriam Defensor-Santiago has passed away at 71 years of age after more than two years of battling with lung cancer. "She died peacefully in her sleep this morning," her husband, Atty. Jun Santiago, told GMA News. Details about Santiago's death have yet to be released as of posting time. Earlier this month an update from her Facebook page said that she was being treated for her cancer at the St. Luke's Medical Center in Bonifacio Global City. It was in July 2014 when Santiago announced that she had been diagnosed with stage 4 lung cancer. Despite her condition, she was able to run for the presidency in the recently concluded May elections. However, it was evident during the debates that she was suffering health-wise as she was stuttering while delivering her answers. 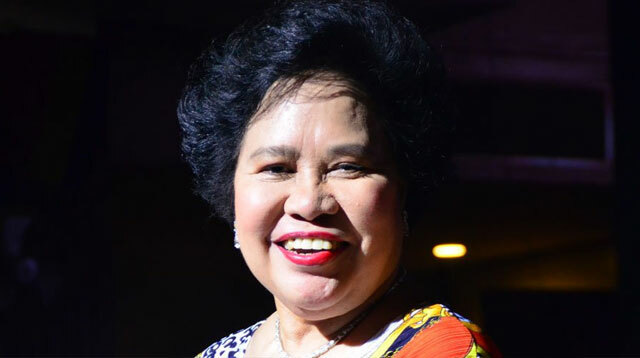 Although Santiago placed last among the six presidential candidates, she still enjoyed massive approval from the supporters of the other candidates, especially from then Davao City Mayor Rodrigo Duterte's camp. Santiago has been a senator for three terms (1995–2001 and 2004–2016), was a judge of the International Criminal Court (2012–2014) and served as the late president Corazon Aquino’s secretary of Agrarian Reform (1989–1990).